Among it’s 38 new products announced Monday, one of the many shining stars was the new Micro Studio Camera 4K, the small (but mighty!) evolution of their broadcast level Studio Camera. 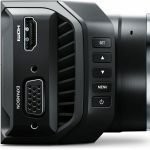 NAB 2015, Las Vegas, USA – April 13, 2015 – Blackmagic Design today announced the Blackmagic Micro Studio Camera 4K, an incredibly tiny Ultra HD and HD studio camera for live production that delivers dramatically better quality than the biggest and most expensive studio cameras used today. Blackmagic Micro Studio Camera 4K is available in July for $1,295 and will be demonstrated on the Blackmagic Design NAB 2015 booth at #SL219. The Blackmagic Micro Studio Camera 4K is small enough to fit in the palm of your hand and features an incredible quality, broadcast grade Ultra HD sensor that shoots with amazing clarity so customers can see more texture and detail in their images than ever before. 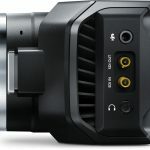 The new Blackmagic Micro Studio Camera 4K can be used for both HD and Ultra HD production and features a built in color corrector, talkback, tally indicator, PTZ control output, B4 lens control output, and an extremely flexible MFT lens mount that is easily converted to other lens mounts via third party adapters. When used for regular HD, the extra sensor resolution completely eliminates any color loss from the sensor’s bayer pattern so customers get full bandwidth RGB HD color and superior sub pixel anti-aliasing for amazing, fine detail HD images that look better than most of the bigger, more expensive cameras used in studios today. 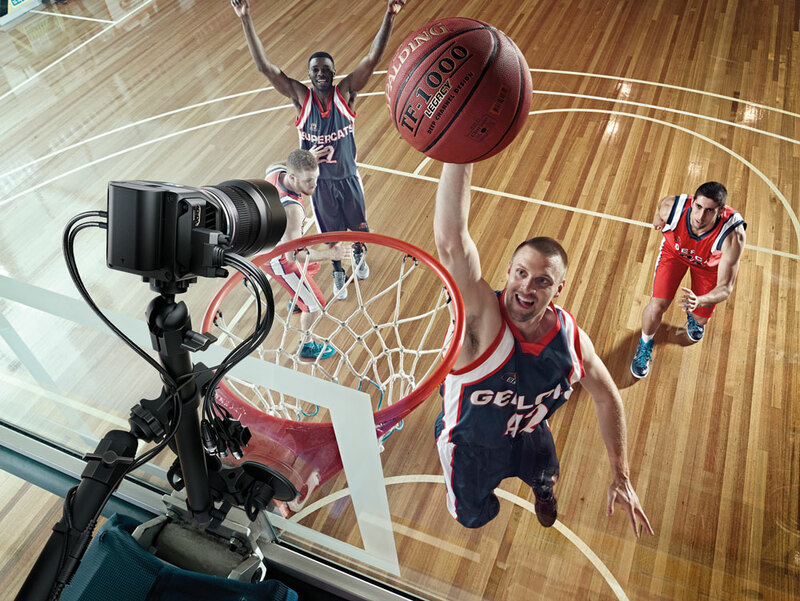 The small size and completely open design of the Blackmagic Micro Studio Camera 4K makes it perfect for live multi camera production of reality TV shows, news magazines, sporting events, concerts and more. It’s virtually invisible and can be hidden just about anywhere on set, giving customers the ability to have more camera angles than ever before so they can create a more interesting program. They can be hidden on stage to get incredible shots of live performances or, because they’re so small, safely flown overhead during sporting events. The Blackmagic Micro Studio Camera 4K is engineered with a super tough magnesium alloy core in a body that’s not much larger than the lens mount itself. It’s compatible with affordable, high performance MFT lenses, or customers can add a B4 adapter to work with traditional broadcast lenses. The camera also has features that can be used with motorized heads and a B4 data link output for controlling broadcast lenses. Customers can even build their own camera control solutions using the S.Bus input. The expansion port uses a common DB-HD15 connector so customers can easily make their own cables or use the breakout cable that’s included. The expansion port also includes DC camera power in, LANC and reference input. Operates up to 2160p30 when operated in Ultra HD or up to 1080p60 when operated in HD. Supports SDI camera control protocol allowing full remote control vis single SDI connection. Includes built in buttons along the front for quick access to menu navigation and settings. 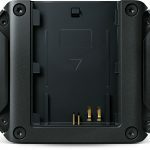 Includes a 12V power input or users can add an LP-E6 compatible battery for backup power. Includes an expansion port with a DB-HD15 connector for power, reference, PTZ and B4 connections. Expansion port supports multiple control connections such as PTZ serial output, B4 lens data link output and S.Bus input allowing customers to build customized camera control solutions. Built in, two way digital quality talkback connector using iPhone compatible headsets. Compatible with ATEM range of live production switchers for full SDI control of cameras. Blackmagic Micro Studio Camera 4K will be available July for US$1,295 from Blackmagic Design resellers worldwide.